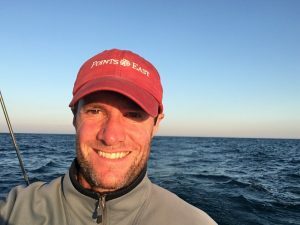 As a kid, Bob Muggleston took sailing lessons at Pettipaug Sailing Academy, on the Connecticut River, and that was it — he was done for. All the racing and cruising he’s done since, and the years of tooling around in a 16-foot Larsen runabout, are because of those lessons. His obsession with boats, in general, and his inability to turn one down that’s free? That might be fodder for a therapy session. However, he takes comfort in knowing he’s not alone.